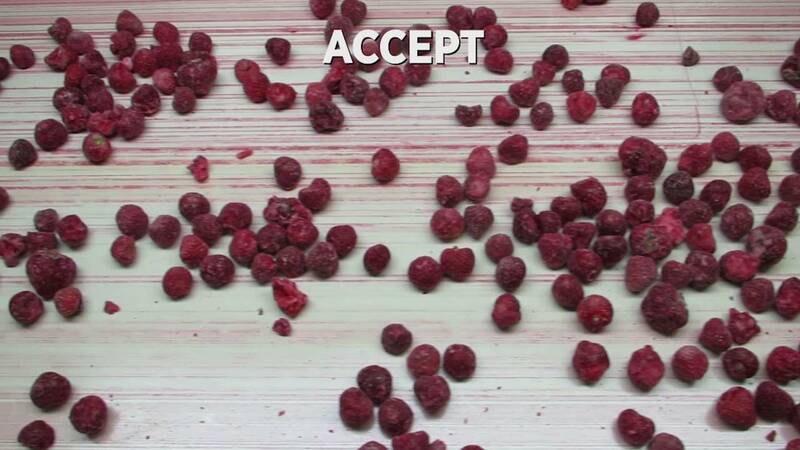 TOMRA Sorting has a solution for sorting fresh, frozen and dried strawberries. TOMRA’s sorters detect and reject stems, leaves and snails, unripe, molded, rotten and discolored strawberries as well as foreign materials. The Primus optical food sorting machine is a highly efficient and fully automated optical food sorter for all kinds of berries and olives with quick payback for the removal of soft, discoloured products and foreign material.